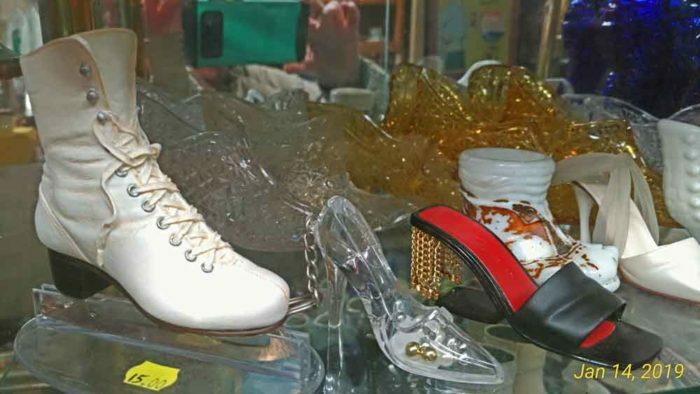 Check out these tiny shoes – especially the ice skates! We’ve been discussing Collections – especially ‘tiny ones.’ These tiny shoes are perfect examples of small collections that can be so much fun. 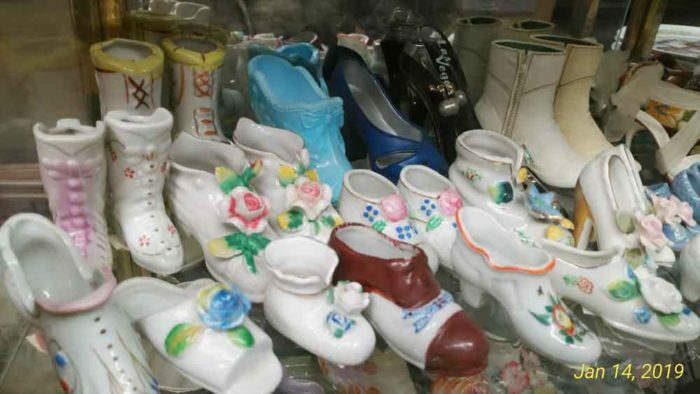 Picture yourself browsing antique shops looking for just one more unique shoe to add to your collection. We especially love the ice skate, just a couple inches tall, as we excitedly prepare for our Havre de Grace Fire & Ice Festival this weekend, Jan 19-20, 2019. CLICK HERE for details. Tiny Shoes make for a great ‘first’ tiny collection! So we encourage to stop in and check out the many choices available to you to begin your tiny collection. And, of course, we’ll be watchin’ for ya!